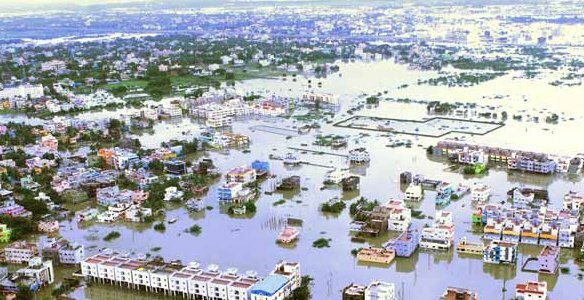 Chennai, the capital of TamilNadu, India has been submerged in water due to incessant rains and floor waters for the past several days. 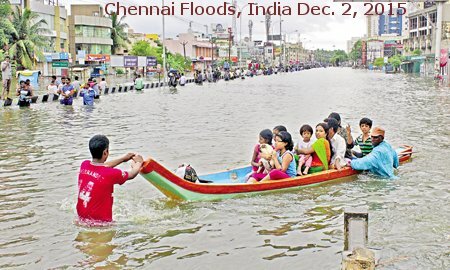 Millions of people rendered homeless due to these rains as most parts of the city of 10+ millions has taken about 1200 mm of rains during the past few days, a record in about 100 years. 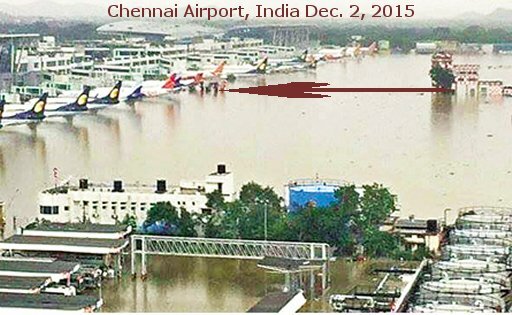 Chennai airport has been closed for the past few days, and is not likely to open anytime soon. See a few aircraft submerged in water here. We wish the people of affected parts of the state a full and fast recovery!